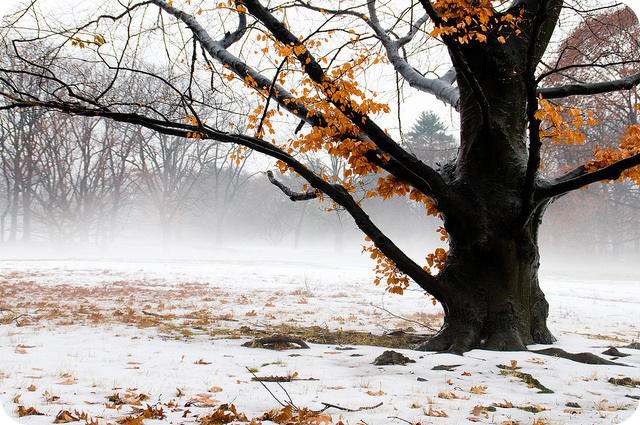 Seasonal affective disorder, or SAD, is a common mental health issue affecting all ages. It comes in different forms, and is experienced to different degrees, but it’s usually associated with symptoms like sluggishness, persistent sadness, agitation or hopelessness during the winter months. It is believed that a decreased exposure to sunlight is an important factor in the onset of the disorder. It’s no surprise then that SAD increases with latitude. In New Hampshire, the prevalence is 9.7 percent compared to only 1.4 percent in Florida. Those who experience SAD may feel depressed in the fall and winter and typically start to feel better during the spring and summer when the days are longer and people are more likely to get sun exposure. Several treatments for Seasonal Affective Disorder have been shown to reduce symptoms, however, they can sometimes be costly. Here are 5 ways to treat SAD on a budget. During the winter months, the days are much shorter and people usually get less exposure to the sun. Light therapy has been shown to reduce symptoms of SAD and lamps that mimic sun exposure can be bought for around $40. Use the lamp for about a half an hour every morning to lessen the negative effects of the disorder. When the weather gets colder, outdoor activities like taking a walk or going for jog become obsolete. However, enrolling in group classes that are indoors and can still keep you active are a great alternative. Additionally, classes like yoga, Pilates, Zumba, and even martial arts are available online via YouTube channels. One of the symptoms of SAD is to overeat, especially food that is not the healthiest. Individuals with SAD tend to crave carbs because they provide the most immediate pleasure. To combat this, plan to eat regular healthy meals throughout the day, like increasing the amount of vegetables you eat and having lighter meals. Many of the treatments for SAD require you to abide by a schedule. Make sure to include enough time during the mornings for light therapy and throughout your day to prepare your healthy meals. Since symptoms for SAD occur by the season, it’s easy to plan ahead of time if you think you’re going to be affected. One of the keys to treating Seasonal Affective Disorder is to be preemptive before you start feeling poorly. Get the tools you need in place beforehand before you experience significant problems.